When they need human resource services, Connecticut business owners can turn to the trusted experts at HR Knowledge. We are a reputable administrative services organization (ASO) that provides a wide range of HR services Connecticut business owners can depend on. Our affordable solutions are designed to help clients ranging from businesses, to non-profits, high tech companies, and charter and private schools. 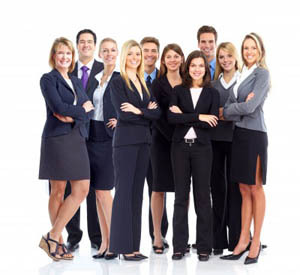 We offer every imaginable HR service to any Connecticut business that needs help managing their human resource needs. Whether it be payroll and benefits, or hiring process management, our HR services in Connecticut are created to adjust to and suit all of our valued clients. Here at HR Knowledge, we employ a team of HR professionals with over 100 years of combined HR experience. No matter what kind of organization you run, it is certain that HR is a central part to its success. From recruitment, training, salaries, and benefits, to performance incentives, laws and compliances, terminations, and public relations, HR is important to any and all business. If you lack the internal resources needed to run a fully functional HR department, you might want to consider the benefits of our human resource services. Connecticut business owners and organization leaders can turn to us for any number of our reliable HR solutions. When it comes to the vast array of complex HR needs, HR Knowledge is the place to turn. We are known amongst our existing clients for providing concierge-level services when and wherever we are needed. Our organization stands apart from others in our field because of our commitment to always putting our clients and their needs first. We offer human resource services Connecticut business owners can depend on to help streamline their HR processes and requirements. We believe in our clients, and work hard to ensure their success by providing the highest level of HR services Connecticut business owners can afford. When you want HR services that will help you to protect and grow your business, turn to the experts at HR Knowledge. We’re always happy to answer any and all questions without obligation or hassle. To learn more about our highly sought after HR services, Connecticut business owners can contact us online or by phone at (508) 339-1300. Our website is also available for browsing our wide array of human resource services. Connecticut business owners needn’t look any further than HR Knowledge for the level of care and commitment they deserve and rates that fit their budgets.